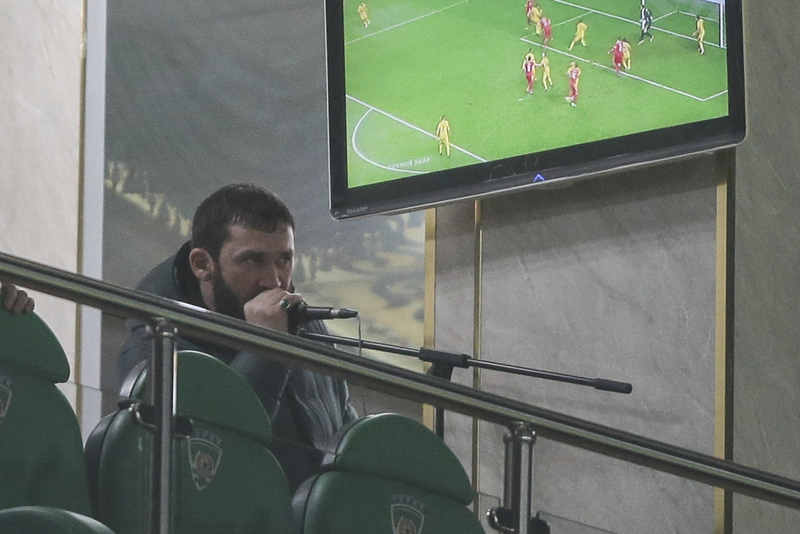 Chechen parliament speaker Magomed Daudov appears to have been a driving force behind the purge, Human Rights Watch says. A new report from Human Rights Watch implicates top Chechen officials in the recent mass abductions and torture of gay men in the Russian republic. The report, based on interviews with torture survivors, Russian journalists, and LGBT activists, asserts that the purge "was ordered and conducted by officials in Chechnya." Human Rights Watch says the "unprecedented" crackdown follows Chechen leader Ramzan Kadyrov's playbook for dealing with "undesirable" groups, such as drug users, drunk drivers, and anyone critical of his regime. Chechen law enforcement and security officials began rounding up men known or thought to be gay in late February, the report says. The purge appears to have started when the police picked up a man who was "under the influence of a euphoria-inducing controlled substance." They went through his phone and determined from his messages and photos that he was gay. The officers then identified other gay men based on what they'd found, and statements the victim made under torture. 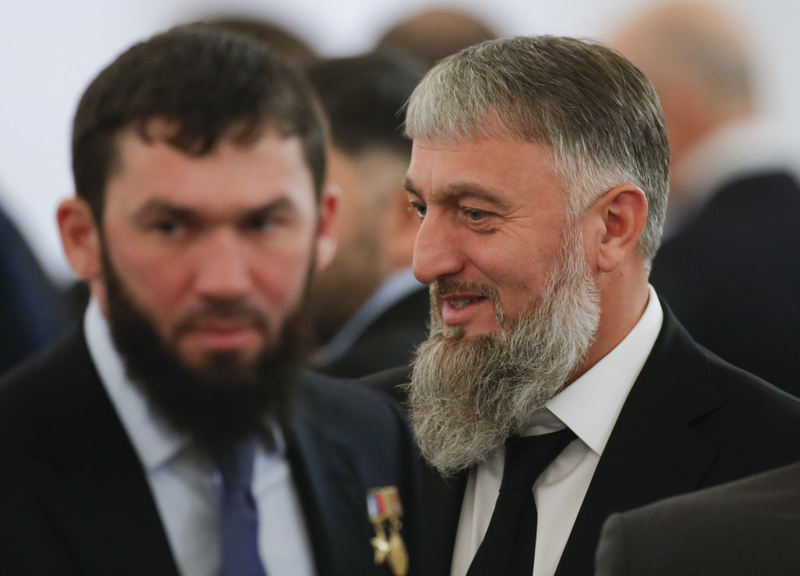 This information traveled up the chain to Magomed Daudov, the speaker of the Chechen parliament, who is widely considered to be Kadyrov's number two. Daudov appears to have been a driving force behind the purge, "both securing and giving approval from the Chechen leadership." "Most of the former detainees interviewed by Human Rights Watch reported hearing the police who held and abused them refer to Daudov and to orders he allegedly issued about violence against gay men," the report says. Three interviewees also spotted Daudov at detention sites, watching the police administer beatings. Police harassment of gay and bisexual men is not new in Chechnya. But until 2017, the report says, beatings and extortion typically served to fill officers' pockets and weren't coordinated on a high level. "They get one person, go through his phone, torture him, make him name some others, get those others, and so it goes," one of the victims said, describing brutal beatings and electric shocks. "In the place where I was held, we were four [gay men] at first, but several days later we were already 20." Some victims are still being held illegally by the authorities, one source told Human Rights Watch, while those who've been released aren't safe either. Detainees have been released to their families and in some cases further humiliated by the authorities, who pressured the men's relatives to "cleanse" the "huge stain on family honor." "They wouldn’t say it directly but we all knew what it meant," one interviewee said. "People targeted by the anti-gay purge in Chechnya ... remain at great risk of being hounded by Chechen authorities or their own relatives as long as they remain in Russia," the Human Rights Watch report says. "The families of anyone who might step forward, and families who refuse to meet demands of officials or relatives to force their gay loved ones to return to Chechnya, may also be at acute risk of threats, harassment, and retaliation." The Russian LGBT Network is working to evacuate survivors to safety, aiming to help them get visas to other countries. A spokesperson for the group told BuzzFeed News "negotiations have been difficult" and that she had been told the US is "not going to provide visas."